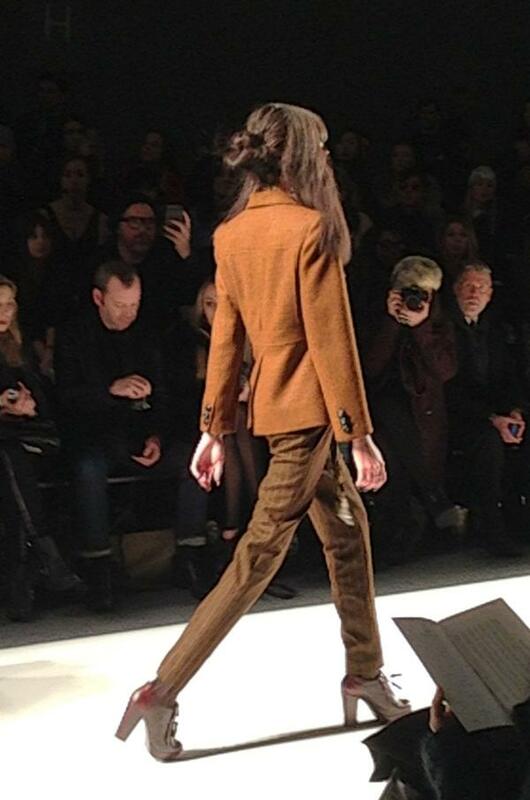 The Fall 2013 Ruffian collection at New York Fashion Week served up a visual feast. 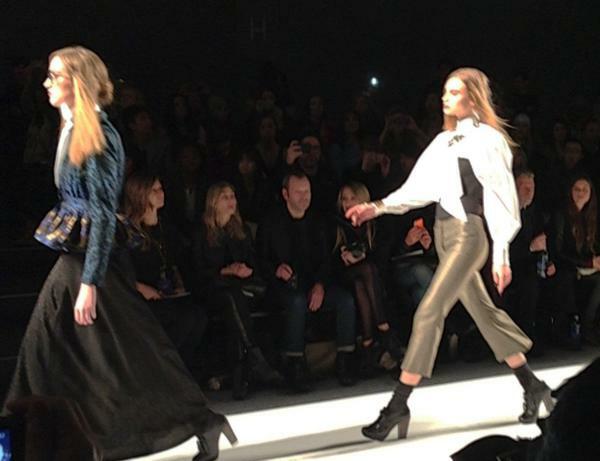 Designers Brian Wolk and Claude Morais wowed the fashion elite that were happy to brave the blizzard to see this wonderful show. It opened to the sound of The Human League’s, “The Things That Dreams are Made of”–lots of 80’s New-Wave music at the shows this year! 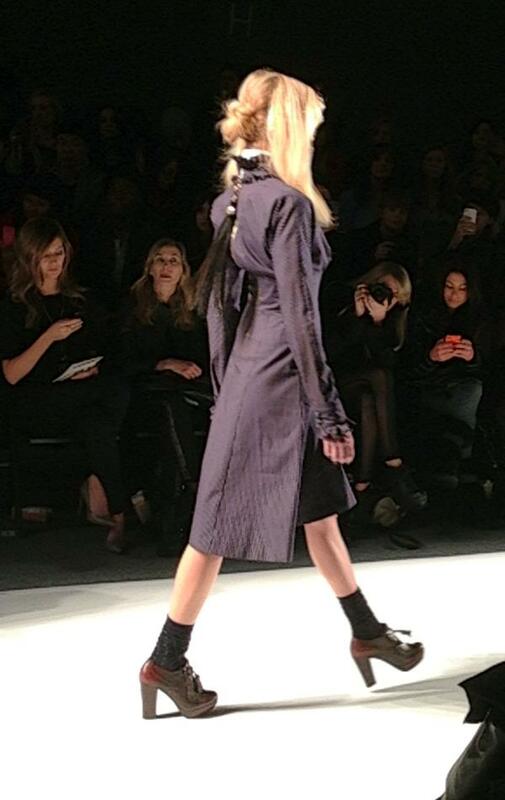 The collection was inspired by the old “Bowery” and had an impeccably tailored Victorian feel, juxtaposed with a current modern downtown vibe. The collection married many long and short silhouettes to create new and interesting shapes. The duo deftly layered fabrics that were a luxurious delight of moirés, leather, gold jacquards, damasks, and boucles and paired with crisp men’s shirting. Shine ran throughout the collection, but the showstoppers were the metallic pieces in a range of bronzes, golds, and coppers. There was a collective gasp from the crowd when the model in a Metallic Boucle coat made her way down the runway, and another as we saw the over-the-top white pussycat bow blouse under a black horsehair corset worn with a cropped trouser. 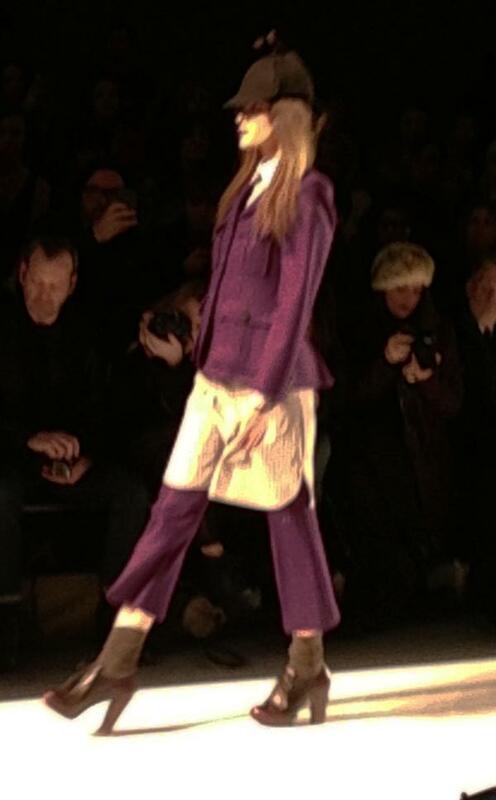 Speaking of cropped trousers, there were many throughout the collection, and they looked great with the tailored peplum jackets. I never thought I’d want to wear a maxi skirt again, but the birdseye skirt and jacket made me change my mind. 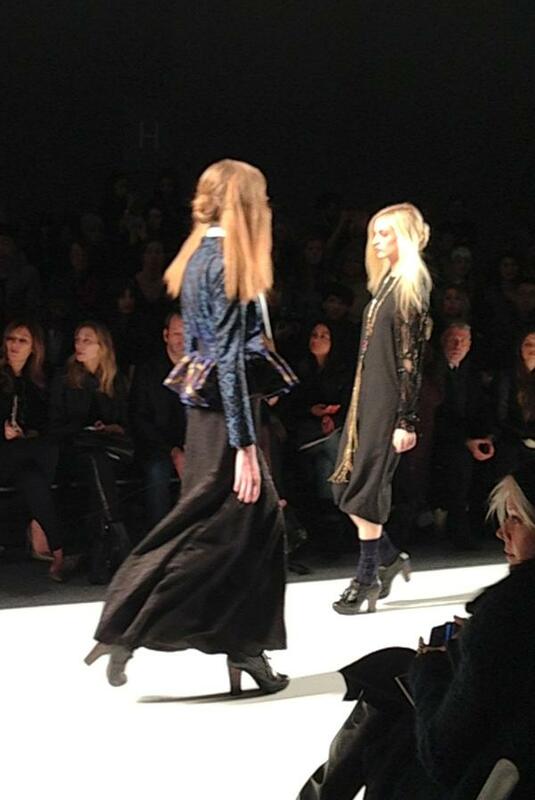 The show ended with a dramatic georgette peignoir cape over a black leather trouser. 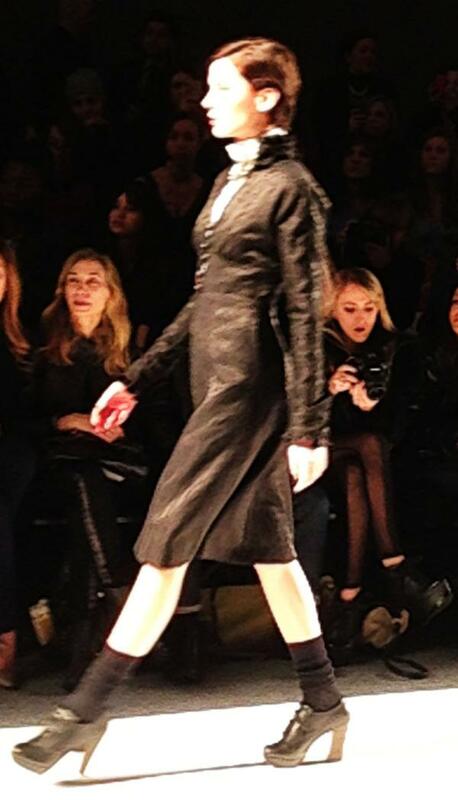 There were so many to-die-for pieces from the Ruffian Fall 2013 collection that I want. They will influence what many women will be wearing next fall, from flattering peplums, and metallics to the gorgeous long fringe necklaces designed by “Sequin”. This is a line to watch. Meryl has been in the fashion business for over 25 years, as a designer, merchandiser, artist, product developer and teacher. Currently she is a partner in the women’s riding jean company, 2kGrey.